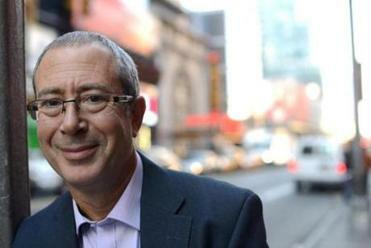 British writer-director-comedian Ben Elton has launched a US tour of “We Will Rock You,” a Queen-based musical. The show is set in the year 2302, when musical instruments are banned and individuality is seen as a virus. NEW YORK — The British writer-director-comedian Ben Elton admits to having more than a passing familiarity with what the Brits and Australians call “Tall Poppy Syndrome,” slang for a reflexive tendency to disparage prominent, successful people in order to cut them back down to size. “I’m a very short poppy now. I’ve had my head cut off quite often enough,” Elton said with a smile during an interview in Manhattan last month, where he was directing a rehearsal for the about-to-launch US tour of his hit London musical, “We Will Rock You,” featuring the songs of arena-rock legends Queen. 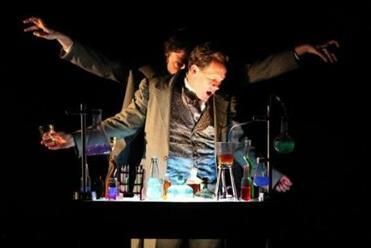 The show, which he wrote and directed, arrives at the Boston Opera House Nov. 5 for a week-long run. Once a rebellious, motormouth stand-up who helped lead Britain’s alternative comedy revolution of the 1980s, Elton became known for savage critiques of Prime Minister Margaret Thatcher and her conservative cronies. When he was just 23, he co-created the groundbreaking early-’80s BBC2 sitcom “The Young Ones” and later co-wrote the still-revered hit British comedy “Blackadder” (featuring Rowan Atkinson and Hugh Laurie). He starred in his own stand-up comedy and sketch series, “The Man From Auntie,” and went on to write a string of funny and disturbing best-selling novels. What performances to see in the Boston area. For a man who’s endured such withering takedowns, the fast-talking Elton seems neither resentful nor defensive about the critical mauling. As for “We Will Rock You,” set in the year 2302 on what’s called the iPlanet, the show imagines a dystopian future where musical instruments are banned and individuality is seen as a virus that must be wiped out. In this world, all music is produced assembly-line style by a corporate monolith using computer programs to create dull, simulated virtual bands. A gentle satirical parable, the musical’s plot centers on a group of rebellious youth, the Bohemians, who are searching for the real spirit of the lost rock ’n’ roll past — a golden age when teenagers and young people formed their own bands and wrote their own songs. Despite the presence of all those iconic hits, Elton found himself in now-familiar territory when critics lambasted “We Will Rock You” after its 2002 premiere in London. Elton and Queen’s Brian May say they were stunned at the shellacking. Indeed, “We Will Rock You” has proven resilient. Not only has it been running in one of the West End’s largest theaters for more than a decade, it’s toured all over Europe, Australia, and Asia. May said that producers made some smart moves to foster word-of-mouth following the bad reviews, including having the cast perform at a star-studded televised concert for Queen Elizabeth’s Golden Jubilee celebration in 2002, with May himself performing “God Save the Queen” on the roof of Buckingham Palace. May and Queen bandmate Roger Taylor first began exploring the idea of creating a musical using their songs back in the mid-1990s. It was initially conceived as a biographical show about the band and its charismatic lead singer, Freddie Mercury, who died of AIDS in 1991. They got as far as workshopping a version in New York, but May said the book didn’t seem to capture the spirit of the band. A few years later, Queen approached Elton about his interest in writing his own story around the band’s songs. Because of the epic and theatrical nature of Queen’s oeuvre, he decided to create a legend story. “I said, ‘Let’s do something Arthurian. Let’s do something like a ‘Sword in the Stone,’ ” Elton recalled. May said he and the band were “fired up” by the idea. Over the past decade, Elton has continued to tweak and update “We Will Rock You” to reflect the seismic shifts in technology and to add or excise pop culture references to keep the story fresh. 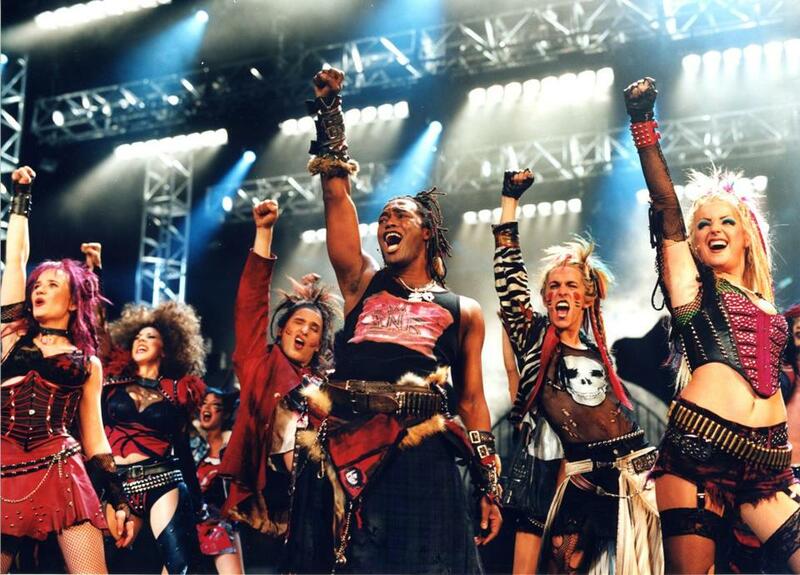 For years, the show’s producers (including Robert De Niro’s Tribeca Theatrical Productions) had hoped to bring “We Will Rock You” to the States. A planned American tour in 2004 didn’t pan out; instead producers chose to stage a sit-down engagement in Las Vegas. May said that they’re aiming for this version of the show to tour the US first and then come to New York for a spell, likely next fall. May has met a man who has seen the show 123 times, but even he admits that a jukebox musical needs more than the band’s rabid fans to succeed. So the producers have always aimed for a wider audience. “You see people come out [of the show] extraordinarily happy, having momentarily forgotten their daily problems and punching their fists in the air,” he said. For Elton, getting to work intimately with Queen has been a particularly poignant experience. He still remembers “Bohemian Rhapsody” reaching No. 1 in the UK during his first semester at college. He was away from home for the first time and living inside a motor home parked in a field.